I've been to South Cotabato last 2014, but I came back this because of its beauty. One of the things I lvoed the most about this trip was our accommodations, Mountain Lake Eco-Resort. We booked this place because it was recommended by someone I know from the Department of Tourism - Region 12. 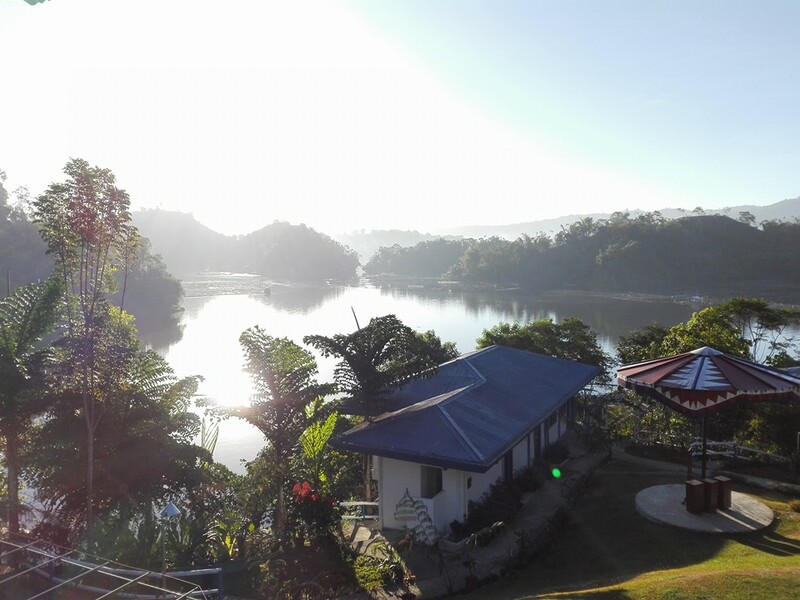 The resort is located at the edge of Lake Sebu, which is composed of 3 lakes. When you go down from the main dining hall, you will get to see this beautiful view. 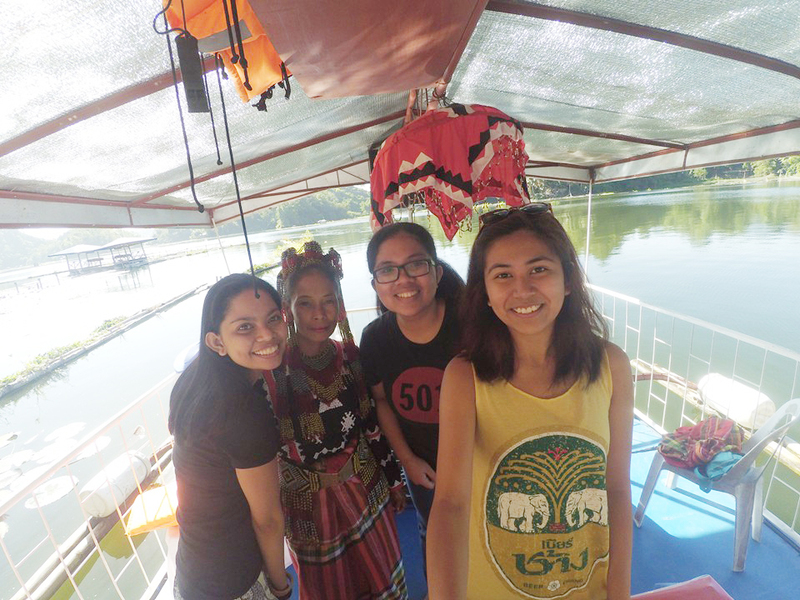 We stayed at an elevated nipa hut that was good for 3-4 persons. What I found interesting about the nipa huts at South Cotabato was there are patterns put to the walls. The resort had WiFi and we were provided with a TV with cable. The hut was very spacious for the affordable price we paid for 2 nights. We didn't even have to use our fan a lot because the breeze from the lake was so cold. The patio was where we ate and just hanged out when we went home after a full day of exploring. I woke up around 5:30A.M. on our second day and got to witness this sunrise at the patio. Who would want to return to the city after seeing this? Even the dining hall had a view of the lake. I liked how it was an open space which made us see the view while waiting for our food. I also got curious about the red center piece. I found out that this was the design that was used for umbrellas of T'boli princesses back in the day. Whenever we ordered food, it usually took one hour before serving. I wouldn't have snapped if this happened in Manila but the ambience in the place just makes you calm and patient. What shocked us was for Php150, I thought I was getting a bowl of lomi. They gave us a full container of it. Lake Sebu is known for their tilapia dishes and the ones cooked at Mountain lake Eco-Resort did not disappoint. They have a fish farm where they harvest tilapias every morning for their restaurant and lake cruises. The first tilapia dish we had was the Tilapia chicharon. It was so good. I prefer it than the pork chicharon. The best tilapia dish we had was the Pork and Tilapia Kinilaw. I've tasted kinilaw from various restaurants but this was the best so far. You can tell that in every bite into the pork or tilapia, it was marinated and cooked to perfection. We had this for two consecutive meals. It was that good. The activity that we enjoyed most was the lake cruise. We enjoyed it so much that we joined the breakfast and lunch lake cruises in the same day. Jun Tuan, our tour guide, is a DOT-accredited tour guide and a full-blooded T'boli. 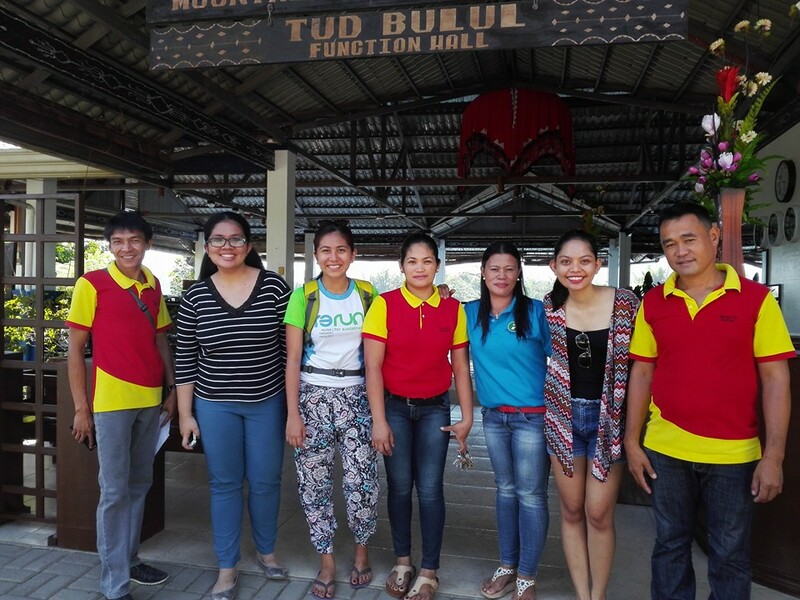 It was so fun listening to him about the heritage of Lake Sebu and the T'bolis. Other resorts have lake cruises, too, but this one was special because Y'egas, the T'boli princess known for her singing of T'boli songs, was with us for both cruises. How to get to Mountain Lake Eco-Resort? If you want to make reservations, you can contact Mountain Lake Eco-Resort through their Facebook Page or through Ms. Aileen at 09173113071. 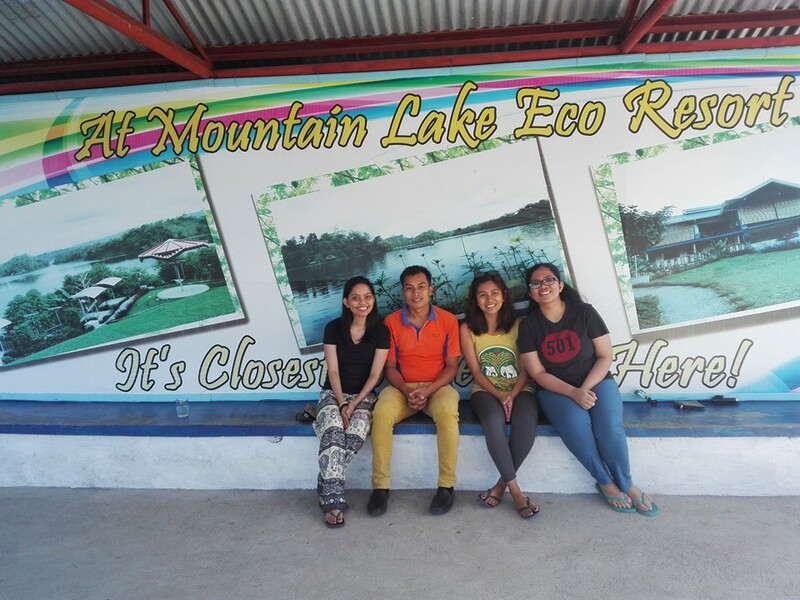 How about you, have you stayed at Mountain Lake Eco-Resort? How was your experience? Let me know at the Comments Section below! 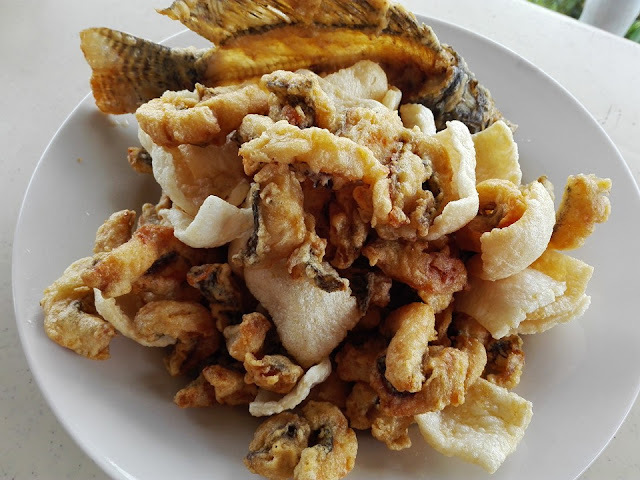 Tilapia chicharron! Winner. I’ve never thought about that as a combo. Man I miss me some tilapia. The Lake itself seems like a great place to visit. I’d love to know of more of the activities in the area, how long did you end up staying?